The basic story is that Helen Beverly knew the man, whom she calls Wyatt, for almost her entire life. They both grew up in farm country, and she married him when she was 24. After the wedding he immediately embarked on a subtle campaign to subjugate her. The first step was to convince her to drop out of veterinary school. After all, they agreed that they wanted a family, and they agreed that she should stay home with the kids, and he made enough money, so why did she need veterinary school? Right? Children came along, and Wyatt was happy to play father of the year, as long as he had an audience. When no one was around to admire him doting on the kids, he could care less about them. In fact, he was emotionally and psychologically abusive towards them, and also towards Helen. Plus he slammed her up against the wall. As the years went on, Wyatt pulled all the standard psychopath tricks spending thousands of dollars stuff he didn’t need and never used. Cheating with other women and blatantly denying that it happened. Isolating Helen from her entire support system. After nine years, Helen finally had enough and filed for divorce. That’s when World War III broke out. Helen had thought that her husband would agree to divide the property amicably. She thought he would want to keep life stable for the kids. She thought they could cooperate in parenting. She was wrong. Like many of us who have been married to psychopaths, Helen was totally blindsided by the steps Wyatt took to destroy her. And she was further blindsided by the actions of court professionals, who not only did not protect her and the children, but actively participated in driving her to ruin. Many, many Lovefraud readers will relate to the story, because they, too, have lived it. But what is truly astounding about this book is its emotional grip. H.G. Beverly grabs your heart in the very beginning and never lets go. She does this through the unique stream-of-consciousness style that she uses to write the story. I’ve never seen anything like it, and it’s very effective. For example, we all know about being mesmerized by the psychopath. But calling the experience “mesmerized” just doesn’t do it justice we are swept up, lifted out of our existence and wrapped in a daze that doesn’t clear until long after the relationship has shattered. You will fall in love. Your love will come to you from the southeast in some kind of subtle-sparkle-smoke fog coming in through the cracks around your door sweeping across the room to you there where you’ll be reading on your sofa he’ll be reaching his hands down around your waist filling your eyes with his glow so intense that you will not keep yourself from looking over and away. Lids half closed to shield your eyes. Your love will not be able to stay away will come to you in the morning and in the afternoon and in the evening and in the middle of the night your love will wake you from a dream with strong coffee will relax your rigid bones with a glass of wine will make you wonder why you’ve been working so hard all this time you’ll watch him coming toward you and his smoke will serenade your heart so this is passion. Your love will take you on a night walk stroll behind you pushed up against you stride for stride and the rhythm will tell him you’re a perfect fit look at us walking. We’re a perfect fit. He will be fascinated. With your plans and dreams they’re so much in line with mine if only he hadn’t been traveling through the south these last years you could’ve been building a life together ever since college or high school or maybe even junior high your fit is just marvelous your feet will sweep across the earth like matchsticks lighting a fire. Every step another spark. Will fly to the sky I can’t believe I didn’t see this in you before should’ve known when I first saw you as a child but I’ve never known love like this in my life let’s spend every moment making up for lost time. Let’s start with a dance. Yes, right here. Right now. You’ll swing around the living room you’ll swing across your lawn you’ll spin sideways down the sidewalk you’ll follow his lead with your eyes you’ll talk freely about the future so this is love. Your love will teach you all about love you will say I didn’t know it could be like this your last relationship will have been with someone more regular no smoke that last one will have cooked chili too late and his nose will have run and dripped while he stirred and you’ll have watched him wipe it with the side of his hand while cutting hot peppers but no smoke. You won’t have known what it could be what might happen in your heart when the sparks start flying to the sky when the light show creates a fog and you won’t have known what love could feel like to be lost what the smoke might do to your heart all engulfed in that glittering, hazy mist no time to come up for air you won’t even bother trying. You won’t have known what it could be until it finds its way in through the cracks and then you’ll know that nothing was like this before so this is the one there’s no way of saying no when God sends you the smoke you don’t question your destiny. Yes, I’d say that describes what falling in love with a psychopath feels like. Wouldn’t you agree? Of course, the love bombing phase disappears once Helen and Wyatt are married. Helen uses the same style to make you understand the confusion and doubt she feels as she tries to make her marriage work, even as her husband undermines her. It’s exhausting, and hopeless. No one will know what to do. No one will ever know what to do. You’ll talk with your therapist friends about chronic developmental trauma and what you might do next but your history will tell you that involving professionals and specialists will only increase the risk and the trauma because your ex will either charm and smoke them over to the point where they’ll align with him and come after you for ruining everyone’s lives or else he’ll manipulate your children’s feelings about the process of therapy so that they’ll accuse you of trying to turn them into a weirdo you’re not taking me some place for psychos you’re the one with the problem Dad said you used to try to blame him for everything and now you’re blaming me just like him I’m not going to your stupid appointments if you try to come and get me I won’t get in the car. You could negotiate with them or you could ignore the comments and try to make them see someone at least once or you could simply care about how they feel and let them know that you love them and respect their feelings so let’s figure out some solutions together what do you think might work here and while all of these approaches might have some positive aspects in another human system none of them will ever work while their dad has any influence over any aspect of any decision. It won’t matter what the decision is, really, whether it’s about therapy or who likes vanilla ice cream he will work day in and day out to be sure that your children are perfectly aligned with him on every point and he will absolutely align himself as the opposite of anything you are or present yourself to be and so they’ll parrot their father and despise every detail of your life. Every aspect of being a normal human being will be twisted into something negative. If you’re nice you’re too freaking easy on people if you’re artistic you’re not like other parents your stuff is so weird if you wear work clothes to a weeknight game you don’t dress like a normal person why do you have to dress up in a white shirt like that for my game you’re not a normal parent you don’t even understand sports if you like sweet potato chips you always have to try and impress people can’t even eat normal potato chips if you have a diverse group of friends you don’t even know who you are. He will work and work and work until they’ll look at any of your very natural human tendencies as some kind of major, deep flaws they will hear and say these things every day of the week they will come to see you as a dark force as an other as a person who is at the core of any and all suffering they’ve ever endured in their lives and they’ll know by experience that no one will have peace until you’re not around. H. G. Beverly writes about her ordeal in a way that makes you truly feel every heartbreak. Because psychopaths create nothing but heartbreak, the book is, at the very least, unsettling. Still, I think The Other Side of Charm is an extremely valuable contribution to the literature on involvements with psychopaths. If you read it, I guarantee this book will validate your own experience. However, the writing is so vivid that it may trigger you. This could be a good thing, if you’re working on releasing the deep-seated pain associated with the psychopath in your life. But if you’re not ready to deal with the emotions, you may have to put the book down until you’re stronger. Along with vividly explaining what happens to victims of psychopaths, The Other Side of Charm is an indictment of all the professionals who either don’t get it or are corrupt. It shows how clueless many therapists are, and how lawyers and court personnel can be manipulated to participate in the calculated destruction of the psychopath’s target. The best idea may be to give the book to someone who needs to understand your experience, but doesn’t. All those well-meaning people who tell you, “Why don’t you just give him what he wants so you can settle?” may come to understand that your adversary doesn’t want to settle; he wants to push you into nothingness. H.G. Beverly became a therapist, with the goal of helping people who have been targeted by psychopaths, although she is not practicing at this time. Still, her understanding of what happens in relationships with psychopaths comes more from her experience than from her studies. 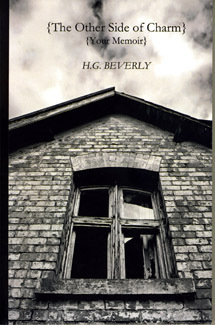 I am pleased to announce that H. G. Beverly will soon be contributing to Lovefraud on a regular basis. In the meantime, I highly recommend her book. The Other Side of Charm Your Memoir is available on Amazon.com. Donna, I’m a bit surprised to see you using the “p” word. FWIW, I tend to use it everywhere but here. If you’re referring to “psychopath” – it would be nice if the mental health profession agreed on what to call these disordered people, but they haven’t. The author of “The Other Side of Charming” described her ex as a psychopath, so I used that term. I’m planning to post this piece on Lovefraud tomorrow as well. I think it’s important for people to know that even the labels are confused and confusing. SER – actually, I thought the long sentences and paragraphs added to the experience of reading the book. I did feel like it was difficult to catch my breath, difficult to keep up – which was very much what being involved with my psychopathic ex husband felt like. However, you may find it easier reading this in a printed book. Reading anything on a computer monitor is difficult, especially long paragraphs. That’s why Lovefraud uses short paragraphs with spaces in between for the articles. So I can certainly understand your reaction. Thanks, Donna. I agree, it’s breathless writing. And I always prefer a printed and bound format. I agree that the run on sentences are hard to read. I have the same problem when a LF post is full of grammar errors and language typical of twitter posts, especially when that post is long or they have submitted multiple posts full of grammatical shortcuts that I have to translate. I notice that because I am more sensitive to stress, there are instances that raise stress, such as difficult to read posts or harsh font types, or run on sentences. They make me feel anxious, and even more anxious when the subject is about the same emotional abuse that I suffered. It dials in on my trauma and tears at the scab. I understand the writer’s reason for such a literary device. It enhances the feeling of anxiety, which works for voyeurs and people who are free of the emotions of our traumas. But, for me, and sounds like for you, it is not empowering, it is not enlightening, it is not comforting….it is caustic. Am expressing my experience and opinion, of course. I wanted to chime in as well Donna. There was no intent to discredit or disrespect HG Beverly. The intent was to empathize with a reader, that we experience stress from small things, like have to concentrate to read, and how that produces anxiety. I LOVED to read and I noticed that my pleasure had dropped enormously. It took a bit of self awareness to realize WHY some books pricked my stress/anxiety wound. There’s no shame in feeling this response, it comes from stress. But only awareness helps a person move past it. H.G.’s story and her courage are absolutely commendable. I hope you know my empathy was never intended as criticism, only validation to a reader that there is a reason why reading certain font types or writing styles can feel stressful and trigger anxiety. I think your self-awareness is critical for your own protection, and I commend you on that. My writing style creates an experience that isn’t for everyone, whether because it triggers a flashback or creates anxiety or for a whole host of other reasons. Your honesty is welcome. H.G. I do so much apologize. In my attempt to validate another person’s feelings of anxiety, I have been clumsy. Rather than use the word, awareness or self awareness, which seems to be pejorative, perhaps a better word is “Mindfulness”. It’s a form of stress reduction that my therapist taught me. So many of us have had our entire beings, all our experiences and feelings,shamed and invalidated. That is what I interpreted when I read a poster’s remarks, and I wanted to validate her b/c feeling shamed by our feelings will NEVER resolve those unwanted anxieties. When we notice small things (such as unusual writing or font types) make us feel stressed or anxious, we can use mindfulness (awareness) as a technique to honor ourselves, process our feelings, and release them, which then frees us and leaves us in a feeling of ahhhh. Peace. By being mindful or aware of the small things that trigger our feelings, we can disarm those feelings, and those very triggers diminish or even completely disappear. I understand where you’re coming from. I’ve practiced a form of mindfulness therapy called “ACT” with success, and I do believe it’s very important to protect ourselves as much as possible while healing. I’m glad you’re doing that and wish you all the best on your journey. As soon as I read your review, I downloaded the book. I now have a veracious appetite for understanding the different tactics psychopaths use to abuse. It is hard to read each person’s life story and because of my on empathy and experiences, I do become anxious and even distraught. However, I find strength in the enlightenment. I am a different person today than even a week ago. My eyes see more clearly, my heart is more protected and I am so much stronger. While I think I will need to read this book in a controlled setting, I believe that it will help me work through my own pain. I can understand her feelings of frantic vulnerability and life altering shock of her abuse. I can understand that there are also those who are too traumatized at this point to risk the exposure. Some stories are just hard to hear/read. But the truth will set us free. Thank you for bringing this book to our attention. I hope you have the support you need as you dive into my story. It can be triggering, and certainly is for me. If you’d like to review some questions I created for readers, you can find them at http://hgbeverly.com/book-club-questions/. I’ve read over the questions you prepared for your readers and am looking forward to considering each one as I read the book. What an excellent way to connect the reader to the story your are conveying and to help them apply your experiences to their own. Also, there seem to be many topics that may not apply to everyone personally but certainly apply to society’s opinion as a whole. There are so many aspects of dealing with this kind of trauma as a family, and it appears that there is an obvious bias towards the wives and children who are affected. It’s a sad statement of the blindness of those in official or professional capacities that they are not better educated on the tactics and manipulation of these evil predators. I’m glad you found the questions and am interested in whether they add to your experience of the story. On the larger issues in society—I’m not sure whether this is what you’re referring to directly, but here’s one. Research has shown that sociopaths are more likely to have court decisions fall in their favor. For example, if they commit a crime, they’re something like 80% more likely to get off their charges when compared to non-sociopaths. My children and I have been devastated in family court because the entire system is set up to award the aggressor, and my ex can be an aggressor while successfully convincing everyone involved that he’s somehow my victim. That I’m somehow coming after him. Professionals are charmed by him, and they take pity on him. So things tend to go his way, regardless of the fact that he has used the court to attack me since 2007 and continues to today. In fact, we have a hearing next month because he’s filed for full custody of our two boys. These are larger topics that I believe impact millions across the United States, and I hope that my story helps bring them to light. There are lots of other stories like mine all around us, so I’m thankful that you’re taking the time to read mine. If it touches you, I hope you will share it with others. Yes! I have a strong motivation to build awareness. Thank you. Based on these excerpts, HG Beverly’s writing is so evocative. It really captures the feelings involved when dealing with the intensity of a psychopath. If you want to understand why getting caught by a psychopath and then continuing to be damaged by them happens, it seems she does a vivid job of explaining it. The smoke and passion passage is going to stick with me a long time. I can’t wait to read the rest. Thank you. I hope you find it worth your time. If you’d like to review some questions I created for readers, you can find them at http://hgbeverly.com/book-club-questions/. I loved the excerpts from your book. The “charm and smoke” and the way you write, helped me to understand the experience you had. I commend you for writing this book and having a passion to tell others about this disorder. My daughter married a psychopath and is still enveloped in the “smoke”. I have not been allowed to talk with her for over five years. My daughter is a great writer and very intelligent, you remind me of her. People have told me, “He can’t be a psychopath! She is way too smart to be fooled in that way. The fact remains, she is very smart and to this day enveloped in charm and smoke. I also like your words about until you have remorse, you can not see. I think that is very true. My daughter “can not see.” For my own situation, I hope one day she will be able to “see” and out of the smoke. For you, thank you so much for all your hard work and perseverance. Thank you for seeing clearly so others can “see”. Thank you for your lovely response. It is so hard to watch your children suffer, and I’m so sorry to hear that you’re also alienated from your daughter at this point. It took me years to see, and even today I find myself falling into his stories and wondering if he is indeed a real family kind of guy. We’re working with professionals right now because he filed for full custody of our two boys. When we talk to them together, I find myself getting drawn into the lies. And then I remember why we’re there, and that his actions are splintering our family. I have to circle it back to the facts. Sometimes the professionals are openly angry with me for doing that. It’s a really delicate situation, and I have to tread lightly around his smoke and charm. If I didn’t know him, I would fall for the whole thing. And I have a Masters degree in clinical social work. I’m smart. The professionals he captivates have doctoral degrees in psychology. We’re all vulnerable! Here’s a link to more on that, if you’re interested: http://hgbeverly.com/prologue-of-a-sociopath/. H G Beverly, I have come to the most painful impasse of leaving, finally leaving, a marriage to a psychopath. We have been married 34 years, have had nine children, are separated 8 years, and I am finally filing for divorce. Two years ago I came upon Love Fraud and began reading everything I could find about sociopaths. I finally had a definition, an explanation for my husbands rampant dishonesty, irresponsibility, psychological abuse, and lack of any inner moral compass. As soon as he knew that I understood the disorder and openly explained it to my children, I had an enemy. It was only in the summer of 2013 that I set a hard boundary and told him that he was no longer welcome at family dinners at my mother’s house. He accepted this coldly, but began a campaign in earnest to destroy my name and credibility. He would twist anything I said or lie outright to my children. At Christmas of 2013, I would not allow him into my mother’s house where my children, sisters, and extended family traditionally celebrated the holiday. I made it clear that I wanted no further contact with him. The attacks accelerated. One by one, my children between 33 and 17 years of age turned their backs on me. All of his abuse began to be channeled through the children. Meanwhile, my mother and sisters and friends that are separate from my husband’s influence do understand that he’s an evil person. My emotional support has come through them and through a counselor who understands sociopaths. But losing my children and even grandchildren has been devastating to me. I’ve started taking an antidepressant. The emotional pain had become intolerable. I’ve wondered if I should move to another state and simply disappear. I can’t get away from the abuse when he lives in my neighborhood with two of my sons, a drug-addicted daughter, and my grandson. I was always close with my 17 year old son, the youngest. While transitioning to another house, he was suppose to briefly stay with my husband. This was before I had a name for my husband’s disorder. Although my husband had ignored this boy for years, he suddenly took him under his wing. My son was supposed to move back with me 18 months ago. He never came back. Read closely, for this may be the last I’ll communicate to you. You know how evil your accusations have been, and you know how false they are. When you first attacked me with your delusions, the only that changed is that I lived in fear of my vindictive mother, willing to do anything to hurt someone who associates with Dad. Eventually I decided the only way to deal with such an invented catastrophe was to ignore it entirely. I don’t miss you. My life is doing exceptionally well and in reality it wouldn’t take any effort on my part to never talk with you again. So please, no matter what you do to try to hurt me, I will not let you drag me down. Look into yourself, for once and introspect. Your mind is a den of revenge and accusations. I had realized that this son was sinking into depression and was troubled long before I heard of any wrong-doing. I knew that my son desperately needed counseling. Meanwhile, his father is covering up a hot bed of sickness in his household. And I have to stand by and watch this. Someone outside the family, someone completely unrelated to me, called DYFS — but the complaint seems to have gone no where. I know that I’ve written so much. Thank you for hearing me out. I don’t know how this will end. I may lose all of my nuclear family and try to salvage my life in the best way I can. I will definitely buy The Other Side Of Charm. Thank you for reliving your pain in order to help others. Wow. I’m so sorry for your struggles and loss. I’m also so glad to hear that your extended family is supporting you through this, and that you have a counselor who can help. It’s a painful, lonely time. Be kind to yourself. I hope you’re finding many outlets for your experience through sites like Lovefraud. And I also hope that you continue to find the validation you need—it can take a long time to really understand what you’ve experienced in your relationship. I wish you all the best on your journey—including time to heal. It seems we share a terrible circumstance in our struggle, the alienation of our children. I wanted children. I dreamed of it and when it happened, I felt my purpose, my reason for living, was finally real. I LOVED being a mom. I had terrible parents and being a mom was my way to give the love and support and encouragement and regard that was absent in my childhood. My life was family centered. I know what your son wrote tore your heart into shreds. It not only hurt you, but you hurt for what is happening to him. I am so so sorry for that. It is a message that could have come from my daughter, even down to the same words. My daughter severed all contact because, as she put it, I was “so toxic and she needed to heal from her controlling, vindictive mother”. The irony is that it is my ex husband who is vindictive and uber controlling. My ex carries a grudge forever, has no forgiveness for even the smallest unintentional mistakes. I wish I had advice for you. I don’t. I share your nightmare. I have no power, I can not rescue my adult children from a twisting that they participate in. I go over and over what might be in their minds, what traumas have affected them. Or worse… I wonder if they are “LIKE HIM” or “LIKE THEM” (b/c my own birth family are void of nurturing and empathy and care for others. What I have decided is that the best I can do is recover and be the person that is ready to accept and help my children when/if they ever find themselves in that place. What else is there for me to do? I did consider suicide b/c I thought “all I ever wanted was to be a mom, and considering how much I failed at the only thing that mattered, being their mother… considering that my children think worse of me and reject the love I gave them, then obviously I am worse than my beating-raging-hating-mother, and I am filled with the message that I don’t deserve to live (which fits with what my ex husband would say, how I was less than, how nobody who knew me liked me, how I was a waste of air). But I decided to NOT commit suicide, even if I never connect again with the children that gave me joy to mother, then I had to remain and serve as God intended, and not to give evil a final victory (suicide is telling the God who gives life that I chose to follow evil and reject life). I know there are LF posters who have young children, some who have managed to protect children from their predators, and surely there are some others in our position… being rejected by our children in favor of the sociopath. But I have never read a post by someone who’s child was lost to the sp, and then came around to reconnect with their non-sociopathic parent. Mother’s Day is coming up. It’s a VERY difficult day for me. If it is for you as well, make a plan, and then DO IT. Don’t stay in bed and avoid the day. Make yourself engage in life b/c it’s important to not let the evil win by taking anything more of your life. Your comment has been updated. I’m so sorry that this has happened. I pray that things will improve with your relationship with your children. Sometimes as we grow older, we see things more clearly. Maybe your children will come to see the error of their ways. Your story is hard to read and my heart breaks that you and your son are in so much pain. I’ll be praying that some peace can come out of all this and you both can me stronger and reunited. I’m so sorry and wish the best for you. NotWhatHeSaidOfMe, You have added some things that I didn’t say: the thoughts of suicide that I push back and the belief that I’m unlikeable. As a defense against that thought I have listed all the things that I know about myself in a journal. I need to read it and be reminded that I am not defined by the sociopath. The thought that I’m not worthy of love is untrue. I have to even be careful of a tendency to talk to myself in a demeaning way. I’ve realized that I don’t do this at work or outside of the house. It comes as a temptation when I’m alone at home. Having admitted this, I can still feel joy. I worked in my yard today and felt the warm spring wind off the lagoon that I live on. I am a pediatric nurse and love my work. I have begun the work of building new friendships. I do want my son back so much that it’s like physical pain. He’s so young. I saw him two weeks ago and I felt like I was talking to someone who had joined a cult. He’s completely brainwashed. NotWhatHeSaid, we may not have advice for each other but we can grieve silently together. Knowing there’s another person out there that understands is comfort in itself. I dread Mother’s Day too. We do need to make a plan. I’ll be remembering you. And HelpingToHeal, thank you for taking time to comment. I hope I can tell a story someday about the child who escaped and came home. Praying. I have done SO much searching for solutions to fixing what I thought I’d done wrong. I thought the disconnect was all my fault. After all, isn’t that the theme of our marriages, that WE are to blame? Doesn’t the reasoning follow that if we can figure out what we did wrong, we can resolve it, or at least stop doing it anymore? Once we get to the place in our search and realize, gee, he’s REALLY disordered. Not just a jerk, but seriously sociopathic. And when we completely realize how enormously terrible that is, the damage has already been done. I put my children in the den of a viper, a vampire, a soul sucker. That has been my biggest emotional burden. NOT what he did to me, but the suffering and life consequences for my children. The damage to my children is the source of my self loathing. It is what I have had to make peace with. What I came to realize is that my path to “salvation” (for want of a better word, maybe you could help me with that), is the very aspect of myself that made me attractive to a sociopath. It was being vulnerable enough to love, to connect in a deeply emotional bond with the man whom I thought was worth making children with. It is what I lost when I was in the depths of my depression. I lost myself. I lost my connection. I was NUMB. My numbness blinded me to what HE was. So you see, had I found a way to keep my connection to my vulnerable self, I would likely have seen who he was sooner. But I had shut down in order to try to find a way to stay married. I didn’t want a divorce. I wanted him to be the person he said he was, I wanted him to continue to live as he had been behaving when we dated and married. But… that was not real. And I was trying to hold on to smoke and mirrors. When I finally left my husband, I was a total mess. Suicidal. Avoidant. Paranoid. Depressed. I couldn’t stop crying. For YEARS. And finally, somehow, I decided I didn’t want to feel that way anymore. I started my path to rebuild the person I lost. I reconnected to myself. I realized that my strength was the WAY I was vulnerable. That I was connected, deeply connected to my humanity. Which is what probably he hated most about me. And like the evil one, truly evil, he lived to destroy my connection to my humanity, to sever my soul from my being. He failed. Your sociopath failed to sever your soul too. I’ve been this path for a few years now, off/on this path because I can’t do it constantly, but I return to it, this re-establishment of my humanity, the person I was before a sociopath targeted me. I found this TED talk by a woman who researches this very life lesson for me, and she has some amazing insights, such as when we numb ourselves to pain, we also numb ourselves to love. Makes sense doesn’t it. And explains how my sociopathic now Ex husband was able to insert his poison into my son and daughter. Sociopaths are above all, opportunistic predators. They watch for when they can poison. While I still don’t have the answer to how to get my daughter back from her vitriolic state, I do know the person I want to be for the rest of my life, and hopefully when she wakes up, then I can show her that her humanity is her path to love, contentment, happiness. The Ted talk, in case the link doesn’t work, is Brene Brown,”The Power of Vulnerability”. It’s on You tube. ALL her talks are worth listening too, a variation of the same theme. That we are worthy for the very reason that we are able to connect to ourselves and others through our humanity and our empathy. And… she notes the only people who can’t?…. are sociopaths. I like this title. The other side is ugly.